The phone at the pool auto-dials 911. The Beacon Knoll pool, a delightful way to cool off in the summers, is intended for general use by all residents. 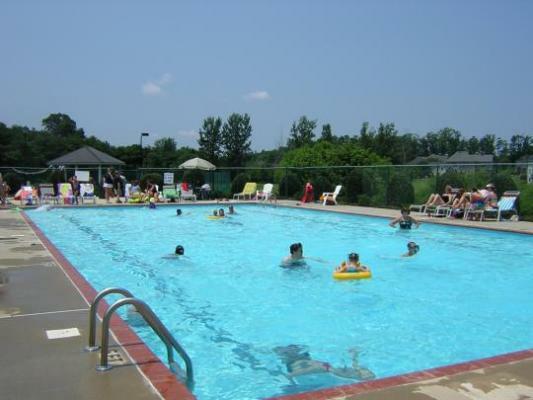 The main goal of the Beacon Knoll Homeowner's Association is to ensure that the pool is used in a safe and responsible manner and that all Department of Health and Environmental Control (DHEC) regulations are followed. DHEC regulations are posted at the pool and should be observed by anyone using the pool. In addition to these regulations, the following rules have been established by the Homeowner's Association. All Beacon Knoll residents and guests may use the pool. Residents must accompany all guests and are responsible for ensuring that guests are familiar with and follow all pool rules. All residents must be up to date with Homeowner's dues to maintain Pool privileges. Pool Opening and Closing. The pool will open for use as soon as weather warms up and remain open until early Fall. Typically, the pool opens in early May and closes in late September. Hours of Operation. The pool is open from 8:00AM until 10:00PM every night. All persons using the pool must do so at their own risk. Lifeguards are not on duty at any time. Children must be 14 years or older to use the pool without a parent or authorized guardian in attendance. Use of the pool after dark. The pool lights and floodlights must be turned on after dark for safety reasons. Switches for the pool lights and floodlights are located in the women's restroom. The pool gates and pool rest rooms are to be locked when leaving the pool area. All trash (cans, cups, etc.) should be removed and the general area policed upon leaving the pool. Rolling trash cans are located near the clubhouse. Floats are permitted in the pool. However, standing, jumping, or any other horseplay involving floats that might cause an injury is expressly prohibited. Use of the pool must be conducted in a safe and responsible manner. Unsafe actions may result in pool privileges being revoked. Pets are not permitted inside the fenced area of the pool. Children in diapers are not permitted in the adult or children's pool. Food is allowed in the pool area but not in the pool. Glass bottles or containers are expressly prohibited inside the pool fencing. Any unsafe conditions should be reported to a Board member. The current Board of Directors is listed on www.beaconknollhoa.com..
Safety Equipment is to be used for emergency use only. A first aid kit and backboard are located in the women's restroom. A pay telephone is located at the pool for general use and emergency calls. The pool number is 548-9253. 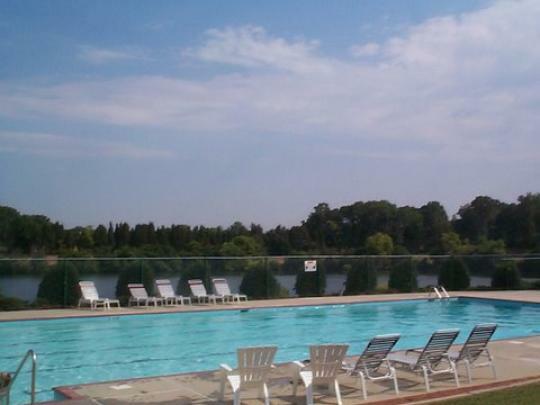 The pool and picnic area are intended for use by all residents. As in the past, the Association will permit group functions at the picnic area. In order to help the Board of Directors coordinate these events and prevent conflicts, all such events need to be scheduled using the procedure outlined below. General use of the picnic area and grill by individuals, families, etc. does not require a reservation. These facilities may be used on a first come, first serve basis. Scheduling an event is suggested if you want to guarantee that the facilities are available. Events with 10 or more people must be scheduled. Call Pam Wolfe to make sure there are no other groups using the picnic area and gazebo. Please note that use of the clubhouse is not included in this. The clubhouse is scheduled separately through Pam Wolfe. Her phone number is 803-517-0374 . The pool will remain open to all residents during operation hours. Even though a party or group event is scheduled, consideration should be given to others who may be using the pool at the same time. At least one adult Homeowner of Beacon Knoll must be present during the scheduled event. If children (under 14 years of age) from the event are in the pool area, at least one adult must be inside of the pool area and actively supervising all activities. All DHEC and Beacon Knoll Pool Rules must be strictly observed. Consumption or possession of alcoholic beverages by an individual under the age of 21 is expressly prohibited. The sale of tickets, sale of alcoholic beverages, requests for donations, or advertising is expressly prohibited. The pool and picnic area, including rest rooms is to be policed and cleaned thoroughly after the event. All trash is to be removed from the pool and picnic area. The Beacon Knoll Board of Directors reserves the right to restrict the number of guests for such events or parties. No parties or private events will be permitted on Memorial Day Weekend, July 4th, or Labor Day Weekend. Only those people wearing regulation tennis shoes and carrying a tennis racquet are allowed on the tennis courts.